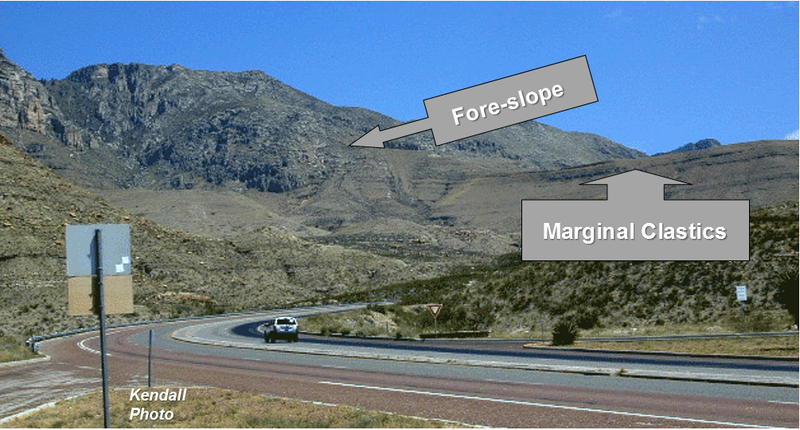 Ancient slopes occur along ancient passive margins and are classically recognized on the basis of the geometries and sedimentary sequences they exhibit preserved in the rock record. These deepwater slope deposits were developed together with rimmed carbonate shelves and have been preserved along off-shore margins of intercontinental seaways (Stoudt, 2000). Subsequent uplift has exposed many ancient slope sequences that have been used for as analogues for this depositional setting. 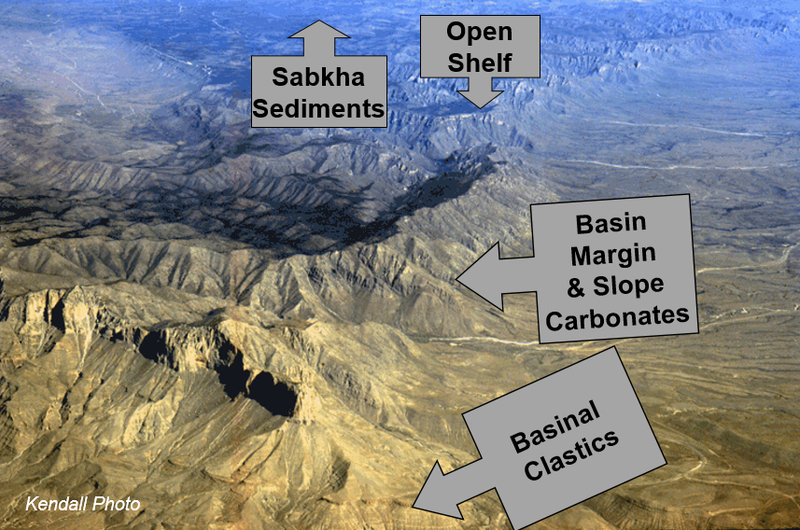 Ancient carbonate slopes have been preserved throughout geologic history and are easily observed in outcrops on all of the continents (refer to the Comparison table for additional information). Tucker, M.E., and P.V. Wright, 1990, carbonate Sedimentology, Blackwell Scientific Publications: Cambridge, Massachusetts.